2019 Grady-White Freedom 307, Bolder plans on bigger waters call for the Freedom 307Running 60 miles offshore in search of trophy gag grouper is not a task to be taken lightly. With fickle weather patterns, South Florida sea conditions can change fast, and the Freedom 307’s patented SeaV2 hull design is ready to answer the call. With a best-in-class beam of 10’7” this beefy dual console measures up to most competitors 32’ models for interior volume, weight, range, and capability. 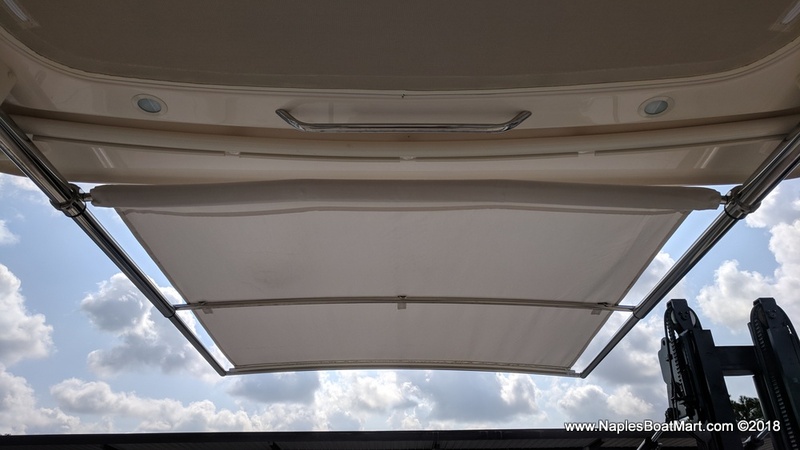 Add a SureShade telescoping aft sun shade to the hardtop and offer your guests comfortable accommodations, and a predictable smooth, dry ride. Don’t worry about the size – HelmMaster joystick docking is available and easy to use, and that all important foam floatation is standard on every model. Explore more to learn why the Freedom 307 is our best selling model.The 30-foot Freedom 307 is an “evolutionary step up” for dual console boats, creating a new category of big, saltwater tough coastal cruiser/family fishing boats. The 307 is a roomy, versatile, great performing inshore or offshore cruiser with amenities and comfort to spare. 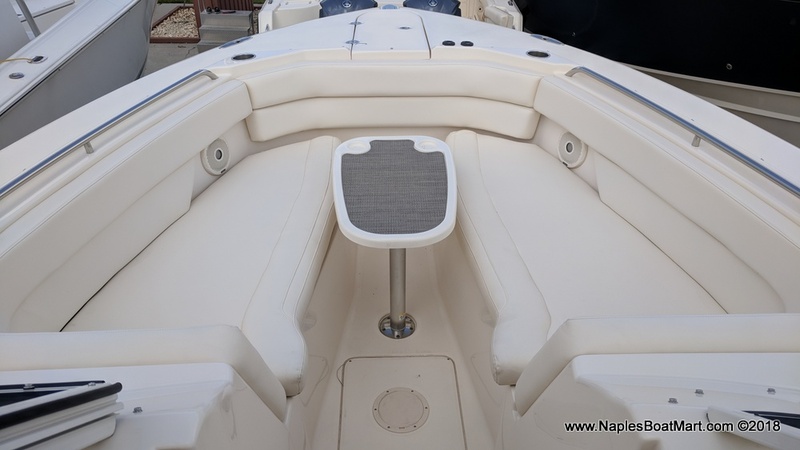 Seating is second to none in comfort.Crossover Without Leaving Anything BehindYorktown, NY The Grady 307 Freedom is the perfect crossover boat. 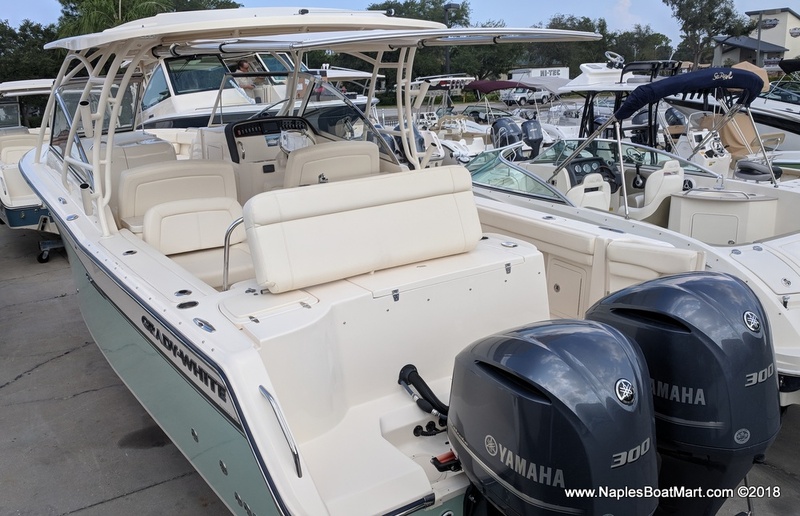 It offers a great platform for family activities, casual evening entertaining, and a fishability for serious anglers that can't 'justify' buying a Center Console which the rest of the family may not appreciate in the way you do. There is something for everybody here without anybody having to compromise.